We wanted to start 2018 off with some fun, so we reached out to game designer Ta-Te Wu. Ta-Te has been a designer for over ten years. He has licensed several games in addition to multiple funded projects on Kickstarter. His newest game, Kung Pao Chicken, is a small social deduction game filled with energy and laughs. We are live on Kickstarter and over 20% funded right now. It has been a crazy week with so many awesome things happening for Loot the Body. We've had a blast doing podcast interviews and being featured on videos. You can catch us this Wednesday night on the Dice Tower's Crowd Surfing show. We found out today that Casual Game Revolution selected us for their monthly Kickstarter top picks. Last week we received the Father Geek Seal of approval after being unanimously approved by reviewers in all gamer tiers. We continue to hear great feedback from reviewers and have ordered a new set of games to fulfill the many game review requests we have received. You can keep up with all of the action by following our Facebook and Twitter accounts. If you haven't jumped in as a backer, come on in the dungeon. The loot is to die for. I have read and agree to all Terms and Conditions of the Find Loot the Body Contest. Thanks for all of your help in finding Loot The Body! Good luck and don't forget to share for even more chances to win. Loot the Body! has come a long way since the day I first woke up and madly typed up a rules draft. Throughout the many revisions, multiple prototypes, and extensive play testing the only true constant has been the name of the game. "Loot the Body" is a phrase anyone that has ever played an RPG is familiar with. It doesn't matter if adventurers just defeated a lowly thief or a dragon king, looting the body is always the thing to do after a victory. The phrase pops up more often than you might realize, and we want you to help us find it. There is of course some sweet loot up for grabs if you do. All you have to do is find a reference to Loot the Body and share it with us and the world using the #LootTheBody. Grand Prize - $500 and a Custom Copy of Loot the Body! with a custom playable character designed by the winner and 2 Monster Packs. One Winner will receive a Custom Copy of Loot the Body! with a custom playable character designed by the winner and 2 Monster Packs. 5 Winners will receive a copy of Loot the Body! There are four ways you can enter the contest. All contestants must sign up here for to be entered into the contest. Find a reference to "Loot the Body" somewhere in media that already exists. Share the reference with us and the world on Twitter using #LootTheBody. If you are the first person to give us a particular reference, you receive 5 entires into the contest. Example Tweet: Tiberius Stormwind wants to #LootTheBody on #Criticalrole Episode 5 at 36 min. Retweet or Share one of the Find Loot the Body Contest posts from our social media. Each retweet and share gets you 1 entry into the contest. Create your own reference. Share a creative video of you or a group of friends saying the phrase "Loot the Body" with the #LootTheBody on social media. Every unique post receives 1 entry in the contest. For the complete rules and all terms and conditions go here. 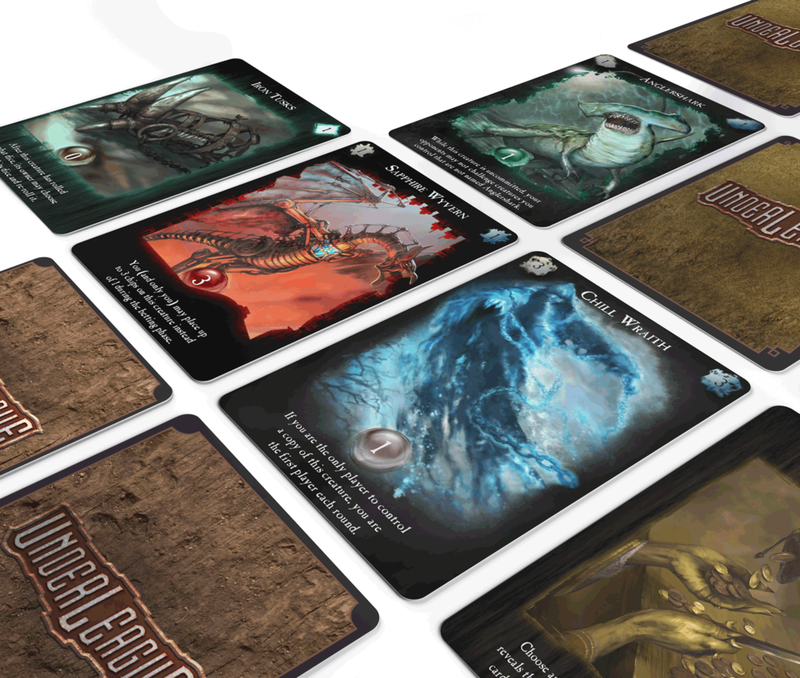 If you’ve had your eye on Kickstarter, you may have seen some of the new releases that came out this week. One of the newest offerings is a unique strategy card game called Underleague. We spent some time chatting with the designer Fergus Blair about what makes Underleague special. Underleague is the first publication from independent studio Cogwright Games. Fergus and his design team are based in London, England. They have spent the last 4 years putting together a very strong offering for anyone that has ever been interested in strategy card games. Fergus wanted to create a strategy card game that anyone could play right out of the box. Most strategy card games require what feels like a ‘lifestyle’ commitment. There press release sums it up nicely. 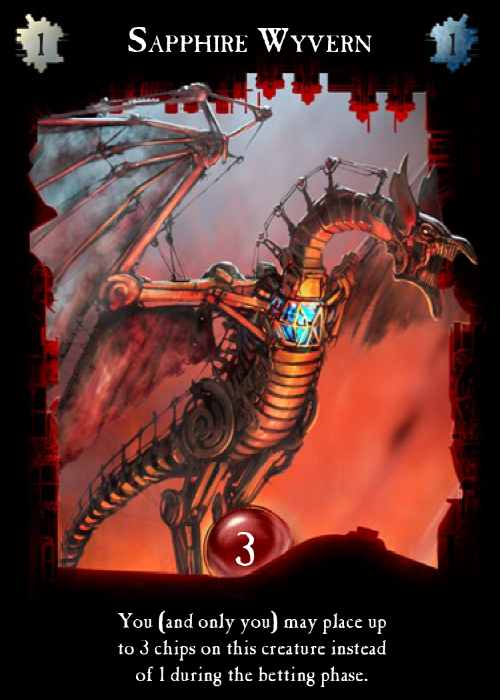 Most strategy card games rely on card mechanics to keep players interested. Overtime, the same mechanics can get old or predictable. That is why Wizards of the Coast consistently release new sets of cards for Magic the Gathering. They rely on new and interesting mechanics to keep players enticed and enjoying the game. Underleague takes a much more human approach. The betting mechanic ensures that every game stays fresh and interesting. Winning isn’t just about who has the more powerful cards. The bets you place during the game affect how you and your opponents play the game. Gameplay is always fresh and exciting and you never have to buy an additional card or learn new rules. Backer Talk: What do backers look at before funding your game? Kickstarter has become the bread and butter for small independent game publishers. With upwards of 250 tabletop games at any given moment, the community is thriving. Themes and mechanics can vary from traditional to the bizarre and that is exactly what backers want. With so many games to choose from, campaigns need to make a great first impression or they risk being overlooked entirely. There are dozens of articles on best practices, tips, and tricks, but we wanted to know exactly what gets the attention of real backers. So, we asked them. We had the privilege of speaking with independent game designer Sarah Kennington over the weekend. She is in the thick of her first Kickstarter campaign for her game Ore-some. This fast paced wild west mining game is filled with beautiful art by Justin Wyatt and clever mechanics. Sarah has spent over two years getting the game just right for Kickstarter, and the hard work is paying off. Just over a week into the campaign they have already reached 67% of their campaign goal. Check out our interview below to find out how she did it. We are excited to present the the first part in a series of interviews with independent game designers. We had the pleasure of speaking with the designer from the recently funded Tortuga 1667, Travis Hancock. Travis is the founder of Facade Games. Tortuga 1667 is his second independently published game in as many years. With nearly 11,000 backers it is clear Travis is doing something right. We are looking for illustrators to help with monster and character designs for Loot the Body! We will be attending GTS Open House October 24 - 25. Jason will be demoing games for the always awesome IEllO Games. Feel free to say hello and introduce yourself. He might even have a prototype copy of Loot the Body! with him.